Gateway tower at Royal Victoria Docks has been long anticipated. One of two new developments in the area, this commanding development of one, two and three bedroom apartments overlooking the docklands surpasses the expectations of many, and for good reason. 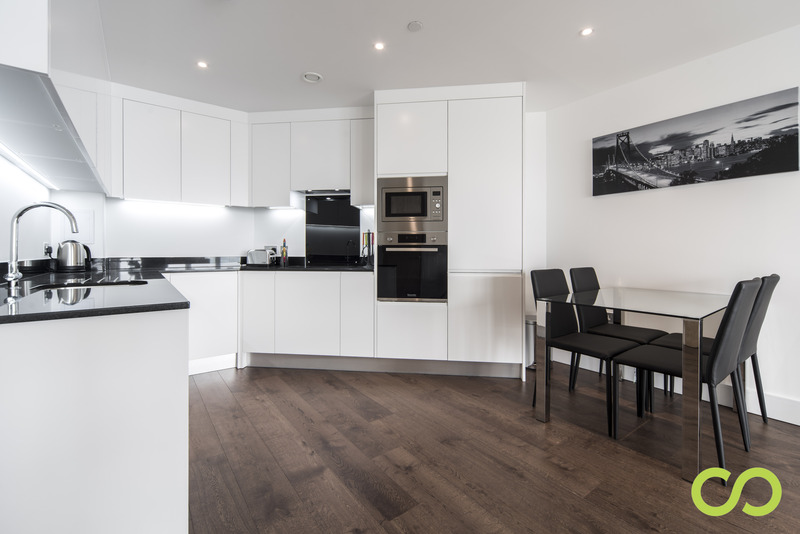 Each of these apartments has a balcony, terrace or a sun room and offers great views of the docklands and beyond. Open plan, spacious and well furnished, a touch of luxury is everywhere in the specification and finish. We’re furnishing the last of the apartments at Gateway Tower at Royal Victoria Residence under our management right now and we’ve already enjoying viewings at the development and seeing tenants moving into their new homes. I was at one of the apartments on Friday waiting for a new tenant to arrive and welcome them to their new home, which is something that we don’t usually do. Sat on a balcony looking out across the water with the sun shining for a moment, I realised, this is a place I would like to live in myself. With premium amenities including a 24hour hotel style concierge service, a winter garden and landscaped communal grounds, this striking, curvy 23 floor tower in the heart of the Docklands will certainly take centre stage in an expansive regeneration programme in one of the most popular areas of London. A selection of one, two and three bedroomed apartments and penthouses are on offer at Gateway Tower, each with a balcony, terrace or sun lounge offering commanding waterside and city views, come complete with underfloor heating, fully fitted kitchens with integrated appliances, fitted wardrobes and exceptional designer bathroom suites. Its location couldn’t be more desirable, with immediate proximity to landmark projects such as ExCel, Silvertown Quays, Royal Wharf and the forthcoming Asian Business Port, and just minutes from the Emirates Air Line, the DLR and a future Crossrail station. Canary Wharf is accessible in just eight minutes on the DLR and Bank within around 20 minutes.